How funny is it that a salad that comes all the way from Russia is so popular in so many different countries of Latin America? 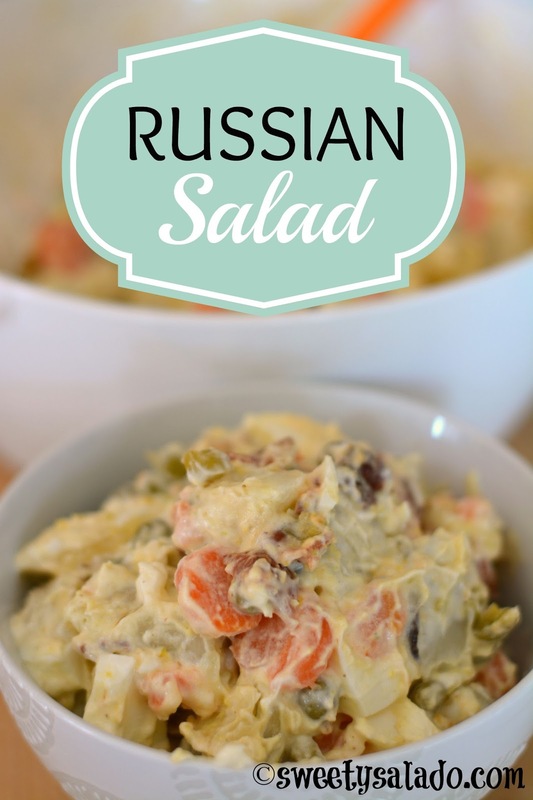 You will find many different versions of a Russian salad or Russian potato salad depending on the country but the basic ingredients are pretty much the same. This is one of those “fancy” salads that many people in Colombia like to serve on special occasions with a nice slice of ham or even pork. I remember during one of my trips to Colombia back in 2006, I wanted to make empanadas or grilled steak for our Christmas Eve dinner but several people told me that it wasn’t “fancy enough” and that we needed to get a ham with a nice potato salad. 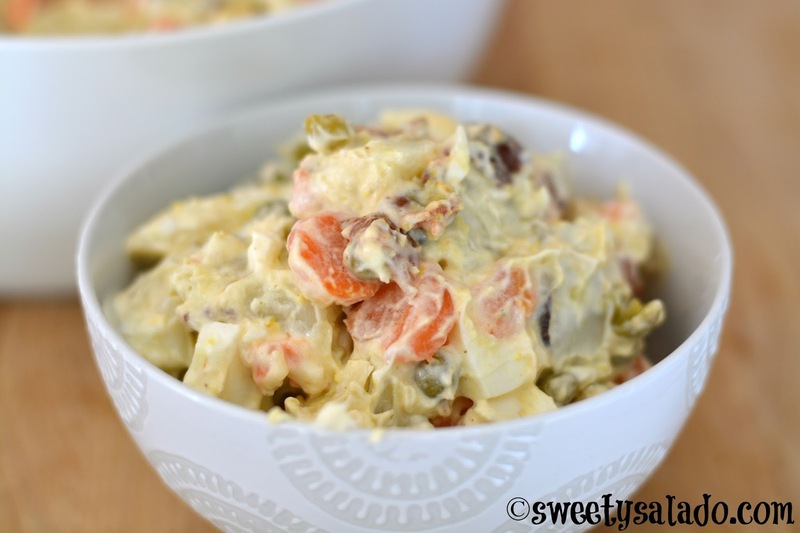 But you see, since I grew up here in the US a potato salad is more of a summer/BBQ side dish and not that fancy. Place potatoes in a medium pot, fill it with enough water to cover the potatoes and season with salt to taste. Cover and bring to a boil on high heat. Once it's boiling, reduce to medium heat and cook for 15-20 minutes or until the potatoes are tender. Drain and set aside to let them cool completely. In a large pan cook the bacon over medium high heat until brown on both sides. Let them drain and cool on paper towels and then chop into pieces. Place the cooked potatoes in a large bowl, along with the boiled eggs, bacon pieces, peas, carrots and mayonnaise. Season with garlic powder, onion powder and salt and pepper to taste. Toss everything really well to make sure every ingredient is well coated. Cover with plastic wrap and refrigerate at least one hour before serving.